Karmel Shuttles offers airport shuttles, cruise transportation, private car services, hourly charter services, point-to-point, and ground transportation for tours & attractions in Los Angeles. Karmel Shuttle will ensure you arrive safely and on-time for your cruise departure aboard one of our clean, late-model vehicles. We can provide premium shuttle services to Orange County and Los Angeles cruise terminals. Get to the cruise port on time with our L.A. cruise shuttles. We'll help send you off on your vacation the right way - with less stress! While we are known best for our Los Angeles airport shuttle and sedan service, we also offer limousine service in Los Angeles. Fullerton, Irvine and Southern California with a fleet of luxury vehicles including limousines, limo buses, sedans and SUVs, mini-coaches and full size coaches. From bridal parties and wedding limos to celebrity travel, corporate accounts, Disney vacations, and special event transportation, we can handle all of your luxury or group transportation needs. Meeting and Exceeding ALL Your Ground Transportation Needs in Southern California! Shuttle, Boat, Helicopter Rids, Tours & More! Also, Disneyland, Universal Studio shuttles, and more! Save on Los Angeles sightseeing tours and attractions! Get your discounted tickets today to Disneyland Shuttles & more. Get discounts for your Anaheim and Los Angeles convention shuttle. Travel Tips & Tour Deals! Tour Discounts and deals - Book VIATOR Worldwide! Read what others have to say about Karmel Shuttle Service. Review our airport shuttles to LAX, SNA, LGB, and more. Make reservations from your phone or tablet. Just visit Karmel.com on your mobile device and bookmark it! 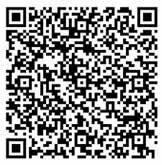 SCAN this code with your Smart Phone to instantly store Karmel Shuttle’s Contact information in your contacts. Get tips and travels hints in Anaheim, Disneyland, Knott’s Berry Farm, & Orange County. Book an LAX to Orange County shuttle today.